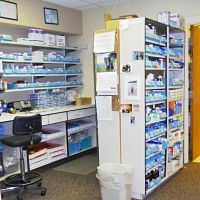 North Big Horn Hospital Pharmacy provides medications for hospital patients. Medications are also supplied for the clinic, ER, inpatients, and outpatients. Most of our medications are provided through computerized medication cabinets. Our pharmacy also uses bar code scanning for patients in the hospital.